NEED LTE OR COMMERCIAL BANDS? works with medium to larger slow drones in frequencies from 11 MHz to 6 GHz*. Every Air Surveyor SDR comes with dual voltage rechargeable lithium ion battery and charger. 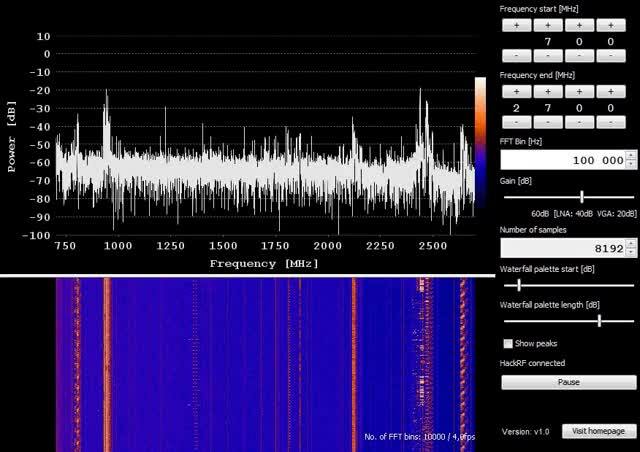 11 MHz to 6 GHz Air Surveyor SDR. Add Air Surveyor SDR to your drone with our drone carriage system and , connect up Android Tablet to the Air Surveyor SDR and start sniffing the air waves in minutes. Set drone to your installation height ( for example 80 foot) and pivot slowly while running rf scanner on laptop, phone or tablet, gives the best results possible. Any special drone builds please expect longer build times , depending on parts and other materials.